Juanita Sandage, 90, passed away September 5, 2018 at Mitchell Manor Nursing Home in Mitchell, Indiana. She was born in Perry County, Indiana on June 30, 1928 to the late Robert and Violet (Phelps) Simpson. Also preceding her in death was her husband, Murrel Sandage; and a sister, Mildred Keilman. 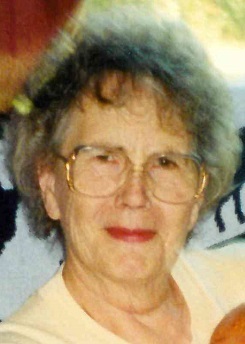 Juanita was a member of Newberry Friends Church in Paoli and Beech Grove Extension Homemakers Club. She enjoyed quilting, canning, cooking, needlework and gardening. Surviving is her daughter, Glenda Lindley, Paoli; grandchildren, Chris Lindley and Beth Wilder; seven great grandchildren and four great-great grandchildren. Funeral services will be held at 1:00 PM CST Monday, September 10, 2018 at Huber Funeral Home, Tell City Chapel. Pastor Darrel Bennem and Pastor Chris Lindley will officiate. Burial will follow in Lilly Dale Cemetery. Visitation will be Monday from 10:00 AM until service time at the funeral home. Memorial contributions may be made to Lilly Dale Church.